One of the great kings of the mobile world, Samsung has built itself into a massive mobile and electronics empire, though its story actually starts much earlier. How much earlier? 1938, actually. Throughout those years the company has evolved significantly, and has brought innovation into countless markets, going well beyond just mobile and electronics. Samsung’s story is an interesting one, full of both highs and lows. In this feature we aim to explore some of the more interesting facts about this Korean giant. So let’s jump right in! 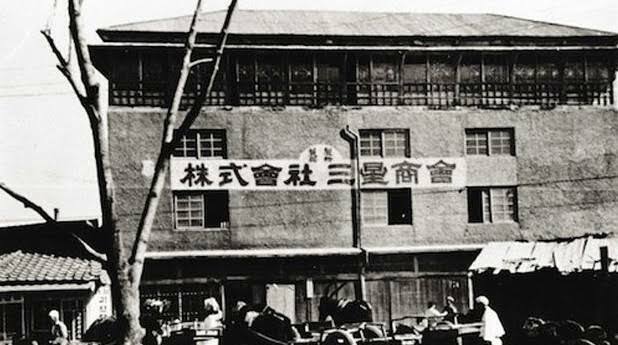 Right from its founding, Lee Byung-chul believed that his new company was the start of something much bigger. The company’s name choice reflected this ambition. Built from the Korean words sam (three) and sung (stars), the tri-star symbol (三星) is said to culturally represent something “big, numerous and powerful”. At it’s founding, this was a pretty bold claim from a company that was nothing more than a trading company of forty employees that dealt in locally grown produce and in the creation of noodles. Since then, Samsung has certainly found its way into a lot more than just noodle-making, which leads us into another interesting fact. Samsung is made up of around 80 companies and employees over 370,000 people. While some of you may already know this, Samsung is way more than just an electronics and mobile producer. The Samsung Group has 59 unlisted companies and 19 listed, all of which have their primary listings on the Korea exchange. These companies range from constructions to financial services, ship building, and even medical. As mentioned above, the company’s combined efforts employ over 370,000 people, and across 80 countries different countries, including Korea. Another fun fact, Samsung’s construction division built the Burj Khalifa (pictured above), which is the tallest building in the world. Samsung’s electronic ambitions began in 1970 with a black and white TV, mobile began in 1986 with a car phone. The first electronics product every produced by Samsung was a black and white TV in 1970. The company expanded a great deal in the decades to follow, and in 1986 entered into the mobile game with a car phone. 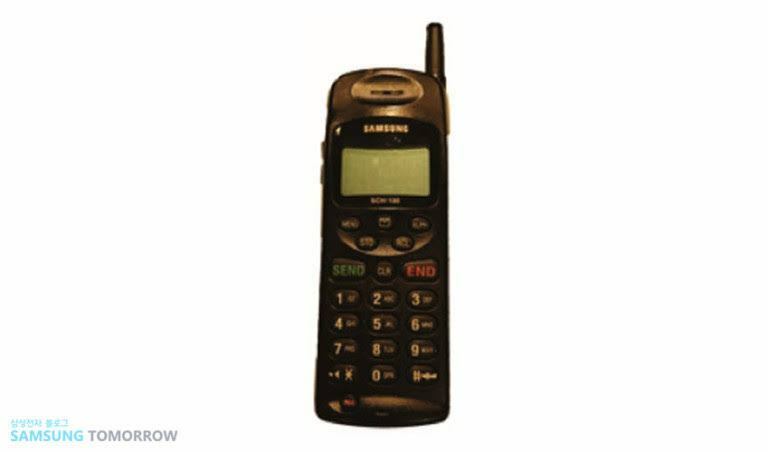 While Samsung’s early TV efforts were fairly well received, the first car phone from the company was poorly received and had terrible sales as a result. 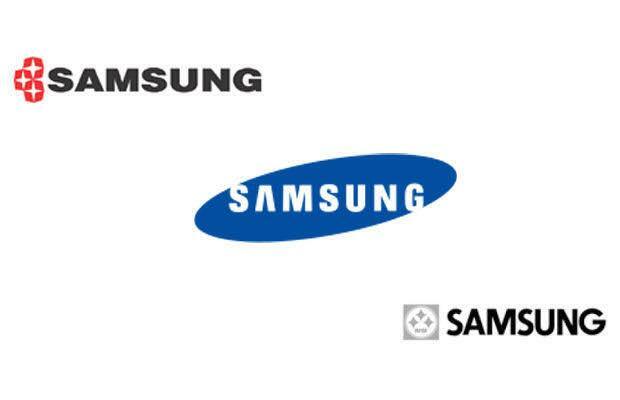 Since the founding of Samsung Electronics, Samsung’s logo has only changed three times. While the Samsung logo changed a few times prior to the 70s, after this, it pretty much stayed constant, changing only three times until the current logo was settled on in 1993. If it isn’t broke, why fix it? 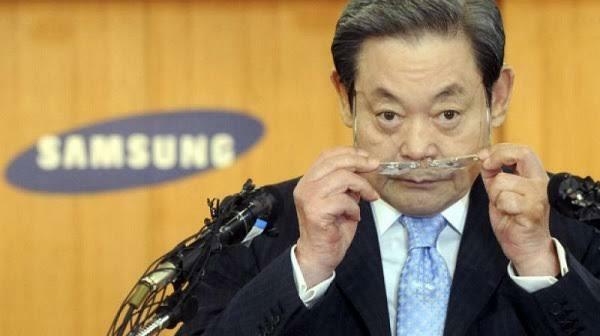 While Samsung has been involved with electronics and the mobile industry for many decades now, it was in 1993 that Samsung Chairman Lee Kun Hee (seen above) pushed forward a new management philosophy which encouraged product quality as one of its core tenets. In fact, he encouraged his staff to “change everything except for their family”, and in order to further promote this notion, Samsung’s Human Resource Development Center created new training and development courses to help with this professional growth. Saying you’re going to focus on quality and taking that all important step across a threshold are often two different things, and they certainly were for Samsung. In 1995, Kun-hee Lee would reportedly find himself frustrated with the quality of his products and with the lack of change in this direction. To drive his point home, numerous phones were stacked up high, joined by televisions, fax machines, and other gear. Lee and his board of directors then proceeded to destroy each and one of these products, even going so far as to break the cases and screens using heavy hammers. As the story goes, Lee made sure around 2000 employees were to witness this. That day, more than $50 million worth of hardware was destroyed, and a new Samsung was finally born. Following this, the era of ‘new management’ would truly begin and was marked by quick growth and global success, something that has only continued to gain momentum in the decades to follow. So Samsung fans, you can thank Lee, his board, and their willingness to perform an extreme drop test for the products you enjoy today. And since that day, they’ve certainly created a number of firsts in the electronic industry.